The White Sands Pupfish (17-12) beat the Las Cruces Vaqueros (8-21) 7-5 on Thursday at Apodoca Park behind Aaron Olivas, who had two extra base hits. He doubled in the first and third innings and singled in the fifth inning. 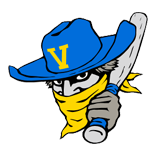 The Las Cruces Vaqueros lineup had no answer for Joe McCarty. 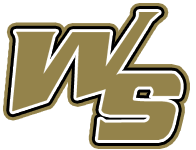 The Las Cruces Vaqueros managed just three hits off of the the White Sands Pupfishs pitcher, who allowed no earned runs, walked none and struck out five during his four innings of work. The Las Cruces Vaqueros Roberto Cuneo was perfect at the dish, going 2-2. He doubled in the fifth inning and singled in the eighth inning. Chad Flick couldnt get it done on the bump for the Las Cruces Vaqueros, taking a loss. He lasted just 2 2/3 innings, walked one, struck out three, and allowed no runs. The White Sands Pupfish were sparked by Olivas and Shamil Ubiera, who teamed up for six hits and two RBIs.